Along with Outlook Express Contacts to CSV , the software convert DBX files in more than seven file formats. Click on Scan file option and browse file from local storage and then click on add. The DBX to CSV Tool scans & load file in quick time. Select desired emails & right click on it to export it. For bulk emails, export option given in menu bar will be useful. Select CSV file type from list and apply filters. Then click on OK to move further. Many times, users aspire to export their data in such a platform from where they can easily get a quick glance of data. Few of the cases are found where the users want to keep the data in spreadsheet. So, at the time of need, they can jot down the important things easily. This is the reason why users want to open DBX files in excel. Henceforth, users come searching for a solution where they can convert Outlook Express DBX files to Excel. Will DBX filesto CSV exporter take care of integrity of data? Does DBX to CSV converter takes care of data loss? Does Outlook Express address book export to excel easily? Can one preview data to verify items on Windows OS? From the above issues encountered, users seem to be quiet interested to save the data in CSV format to get quick glance of data in no time. So, one should keep this thing in mind that no problem is big. All the issues can be resolved easily all one has to do is say Crescendo to our DBX Contact to CSV converter. The DBX File to CSV exporter tool will come to your rescue. The tool is strong enough to prevent data loss in every case of migration because while performing manual method one is more prone to the loss of data. The tool is robust enough to make everything possible. The utility is designed using such an algorithm that it can maintain the integrity of data even after migration of Outlook Express contacts to Excel spreadsheets. Using DBX file to CSV exporter, can we use the advance filter option to filter data? Yes, using the utility, one can modify the items using the advance filter option. The option serves one with so many functionalities. Can we perform conversion of large sized files from Outlook Express to Excel? Yes, migration of large sized files from DBX files to CSV is possible using our utility i.e., DBX Conatct to CSV Converter. Is the DBX Contact to CSV converter to perform migration of files in batch? Yes, the tool supports the batch files transfer in a single shot. The tool is designed in such a way that it is imposed to no restrictions. Does the tool maintain the issues related to data loss and data integrity? Yes, the tool is completely error free i.e., no issues related to data loss and even it preserves the internal structure of the data. From many days I was surfing on web to find a utility with the help of which I can convert DBX files to CSV. Then I came across the DBX Contact to CSV converter utility. The utility not only even served my purposed but maintained the internal structure of the files. Kudos! to the entire team for such an innovative tool. I was stuck on a point where I wanted to import selective data from Outlook Express to Excel. I was in a state of procrastination where I was not finding any solution. Then suddenly I came across a tool and for a second I thought it was only made to resolve my problem. Thank you team! for developing DBX to CSV exporter. The DBX Contact to CSV converter tool is useful in many aspects. 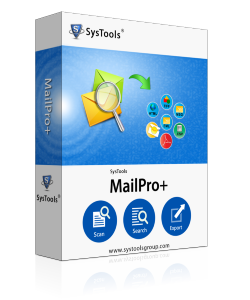 The tool can open, save, and export items from Outlook Express to Excel file format. Moreover, in the kitty of tool there are many marvelous features that can come to the rescue of files if something has happened wrong while performing manual conversion. The DBX to CSV exporter is a robust tool comprising of powerful search option to locate the files easily from any path.